Limassol is on the south coast of Cyprus and is overlooked by the magnificent Troodos Mountain range. The old town of Limassol is the heart of the city with its old archontika (mansions), gems of architecture, which are now being restored, among narrow but busy shopping streets. Historically Limassol has played an important role in the country, given its geographical position and coastal setting. It also produces Commandaria wine in the region. After the Turkish invasion in 1974, Limassol has been greatly developed, becoming one of the most important centres for service-provision, trade and tourism in Cyprus as well as being the biggest port in the Mediterranean transit trade. In September they celebrate the famous wine festival. 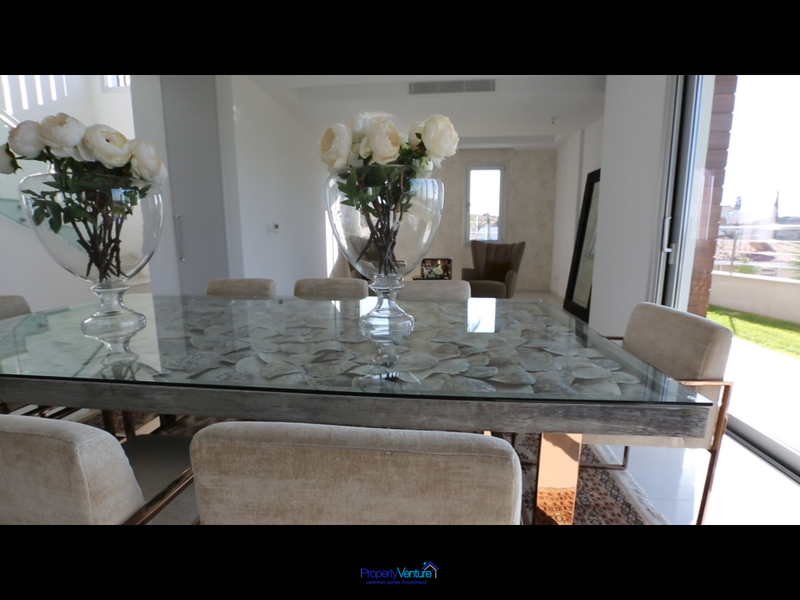 It is a modern town and resort with a 10 mile coastline, with entertainment venues to cater for all tastes, taverns, countless restaurants, luxury hotel complexes, shops, modern buildings and fine residences. 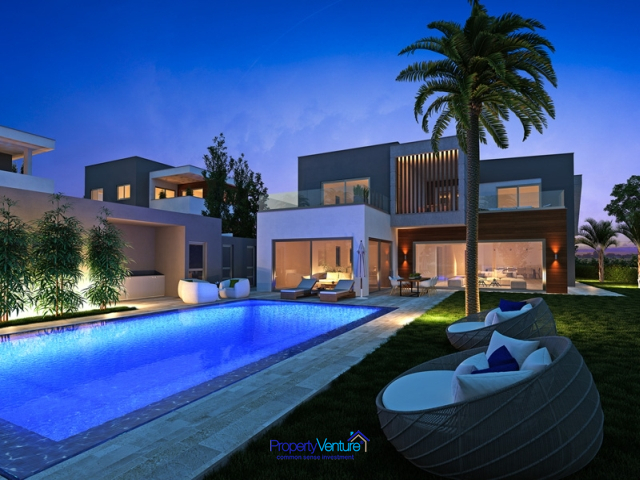 Limassol has increased in popularity and is staking its claim to the second most popular place to buy property on the island – the first being Nicosia. Mouttagiakia is a village in the Limassol District of Cyprus, located east of Germasogeia. Prior to 1960, the village was almost exclusively inhabited by Turkish Cypriots. 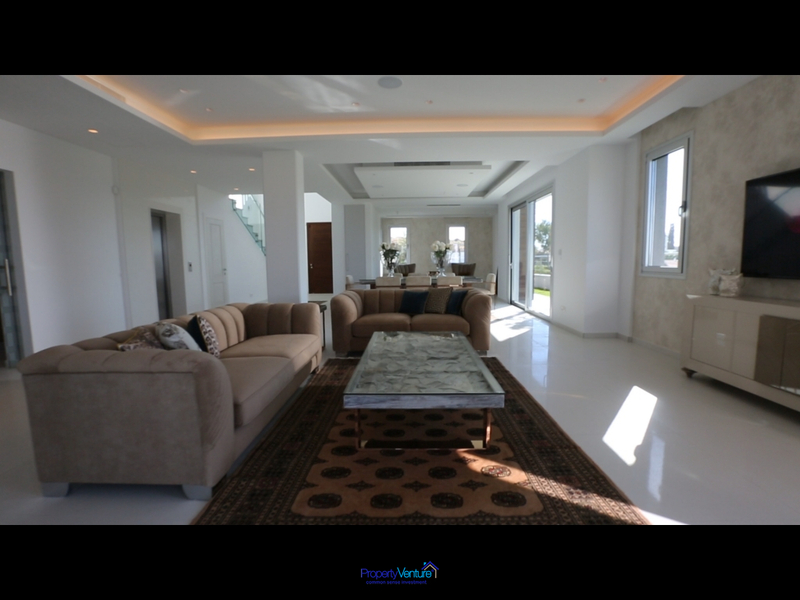 This four bed luxury villa is located in Moutayiaka Limassol. 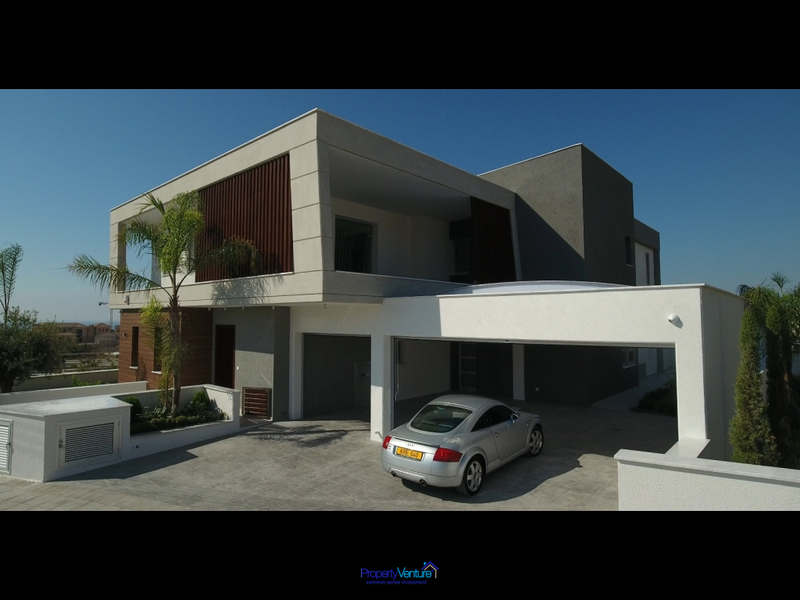 The villa is a custom designed, well-appointed modern home in an unrivalled setting with both mountain and sea views. Moutayiaka provides the privilege of a unique location. In addition to the magical views, its hill-bound location means it is surrounded by greenery, set in a hard-to-find serene setting. 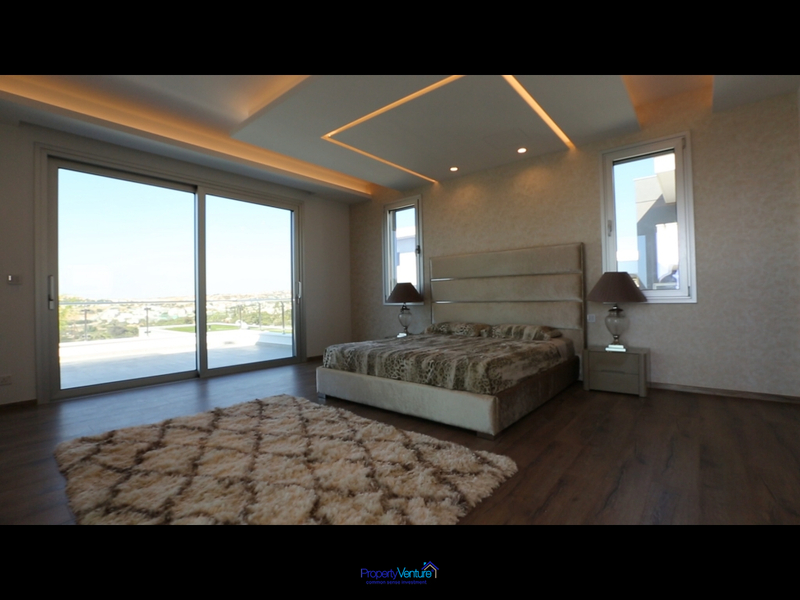 The Villa is only a few minutes away from the beach and ten minutes away from Limassol centre, allowing full and quick access to all amenities. The location caters for both permanent and holiday homes, making it a great investment. Every part of the 4 bedroom villa is designed to make the most of its setting and island life escapism. 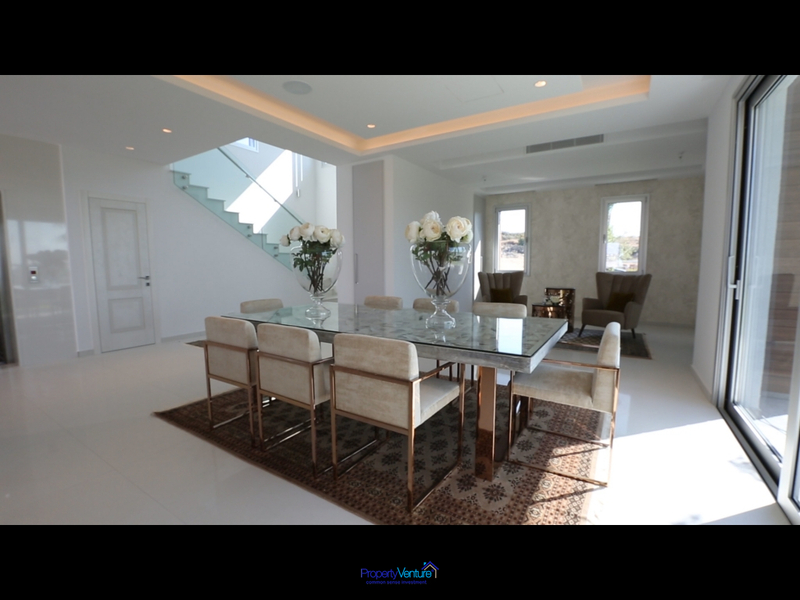 The villa features private parking, mature gardens, a swimming pool, outside seating areas and balconies with amazing views. 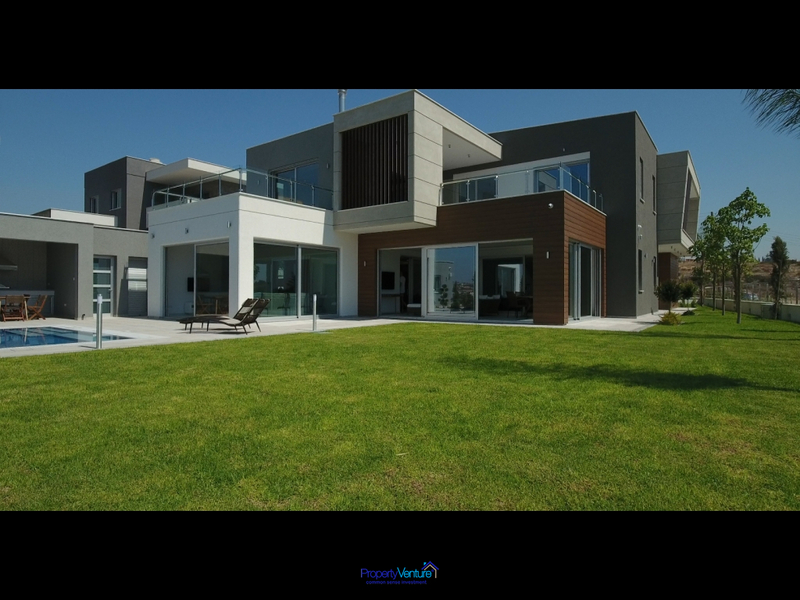 The home is gated, secured and surrounded by greeery providing a sense of peace. The home of choice for luxurious everyday living.